News : Argonaut Provided Wild Air Cooling for Internal Fit-out of a New Branch for a Leading Private Medical Institution, UAE. Argonaut Provided Wild Air Cooling for Internal Fit-out of a New Branch for a Leading Private Medical Institution, UAE. 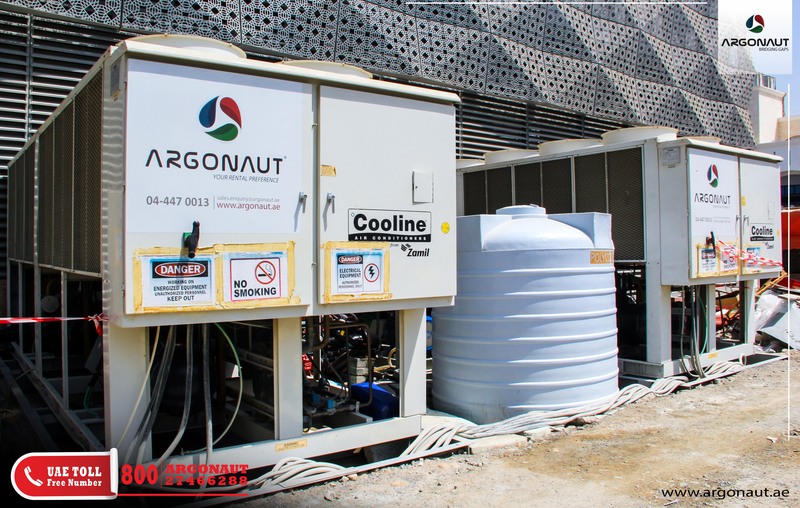 Argonaut was contracted to provide a temporary power and cooling solution of a new branch for one of the largest private medical institutions in UAE. The objective was to provide temporary power and cooling solutions for the interior fit phase of the medical institution. Argonaut was contracted to provide temporary power and cooling solutions during completion work on the interior of buildings, the client needed wild air (ventilation during construction without complete environmental controls or functioning air conditioning) alongside with auxiliary power. The primary task for Argonaut was to support cooling services that would enable interior fit out work to be conducted within the buildings.